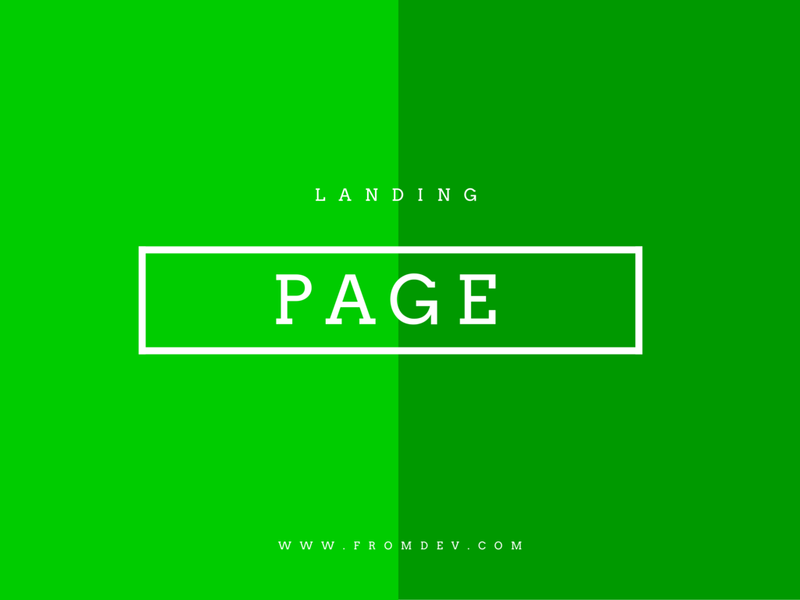 Landing page is a conversion-centric & actionable web page. The main purpose of the landing page is to persuade the visitors and direct them to take action that is favorable to the business. This page is generally made to accept the contact information or a query from the visitors. It usually has a link that can take the visitor to the shopping cart or a kind of checkout page. Like website designing requires the utmost care, landing page designing also requires the same or more care because it is a key for the business that unlocks the gateway to the success. While designing the landing page, it is extremely important for the business runners to find out the unique selling points (USP) related to the products and services rendered by the business. On the basis of USP, the next step is to build Call-To-Action functionality, hero image and theme of the landing page that has the capability to influence the visitors for taking action that is in the favor of the business. In a nutshell, the business landing page is the way for the business to provide a glimpse of the products and services as well as establish an effective communication with the visitors to generate more leads and boost the conversion rate. 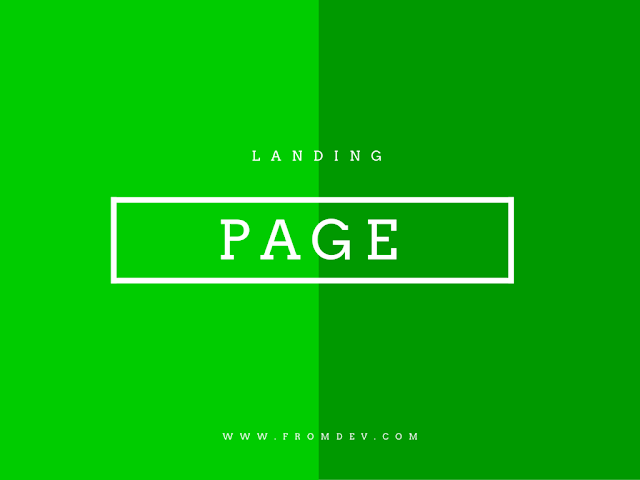 It is quite challenging for all the designers to craft the prolific landing page that guarantees the benefit for the business. In an attempt to help the landing page designers, this blog presents the array of 8 amazing landing page designs that inspire the users to craft the suitable layout. The landing page of CSSChopper is bestowed with the brilliantly designed Call-To-Action function and influential content. This landing page provides the detailed information related to the company and their products & services. Proper navigation menu is used in this page. Comes with the persuasive content, HTMLPanda’s landing page provides all the significant information associated with services. The superbly designed Call-To-Action button in the navigation menu and footer are easy-to-understand, which enhances the conversion rate and generates leads. No-Refresh features alluring landing page that has influential content in the proper layout. Along with this, there is an actionable option in the navigation menu that enables the users to try different tools with the utmost ease. The page accentuates everything about the company superbly. Bear CSS comes with the simplest layout featuring persuasive and easy-to-understand content. The call-to-action button “Upload HTML” makes it easier for the users to upload the HTML files and get CSS files instantly. Moreover, the hero image (bear point toward the actionable button) is beautifully crafted. PSDtoWordPressExpert comes bestowed with a superbly designed landing page. The page comes with a brilliant header, footer and call-to-action button (Order Now, Send Message and Subscribe). This landing page provides every detail about the company and fulfills the purposes, like generating leads and conversion. Shopify features the beautifully designed landing page that comprises the superbly organized content. Moreover, the CTA button at the top does not distract the users and persuade them to click and avail the free trial. On footer, there is a form with an actionable button that allows the user deploy store in a few seconds. The landing page of this organization is equipped with an easy-to-understand form that instructs the users to enter the imperative information and get Guide Book downloaded. Its content is non-distracting and superbly organized. BetterGraph is using the superbly designed landing page that provides every bit of information to the visitors. Along with this, content used in the page is influential that has the potential to inspire the users to avail the services with the utmost ease. The theme of the landing page is simple and alluring. Moreover, the vertical scrolling works as story-telling that is good for the mobile users. Designing the landing page can either make or break the online marketing campaign. There is no thumb rule that fits every design. The development of the conversion-centric page depends on the USP and business type. Hope that this list of amazing designs can prove to be helpful for you in developing the landing page of your choice.